Based in Essex, we are KSP Surveyors. We offer our property surveys across London, the South East and the surrounding areas. We can provide property surveys around the M25, A12, A127, M11 and operate within other areas across the UK. We are a RICS regulated chartered surveyors with many years’ experience in the industry. We strive to always deliver a first-class service. 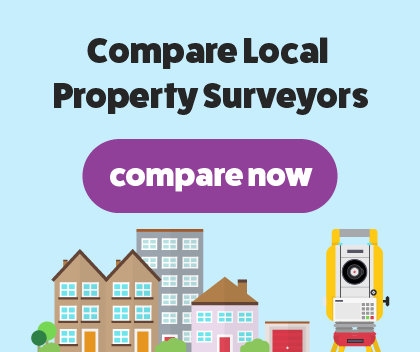 KSP Surveyors are proud to offer a RICS homebuyer report and a RICS building survey. Paul Karcheski BSc (Hons) MRICS is team leader at KSP Surveyors who aims to make each clients’ experience a personal and professional one. Efficient service - they delivered within 3 working days as promised. Very thorough report - requested level 3 building survey and what I received was very detailed with plenty of photographs to help me go back to my seller. I highly recommend them and should I need another survey I will definitely go back to them. Our home buyers survey is a survey carried out on the property that you plan to purchase. You will need a homebuyer report if the property remains in a good condition, built with popular materials and hasn’t had any reconstruction work carried out. We will provide expert advice and opinion on any on going maintenance issues and if there’s any damage that needs urgent repair. A RICS regulated surveyor will carry out the survey, utilising their in-depth knowledge and understanding of the industry. We present our findings in a clear to read report that’s completely jargon-free. The report will include evidence of our findings along with a detailed description. We can offer our advice on how to repair any issues. Our full structural survey will provide the most detailed examination of the property that you plan to buy. It’s especially suited for those properties that are older, built with unusual materials and have plans to extend. We will assess the property’s interior and exterior structure and condition by carrying out a thorough examination. The building survey will be carried out by a RICS regulated surveyor who has a wealth of knowledge of the industry. Finally, we will gather our findings and present them in a report that’s easy to understand. The report will feature in-depth descriptions and evidence of defects and damages that we found in the property.